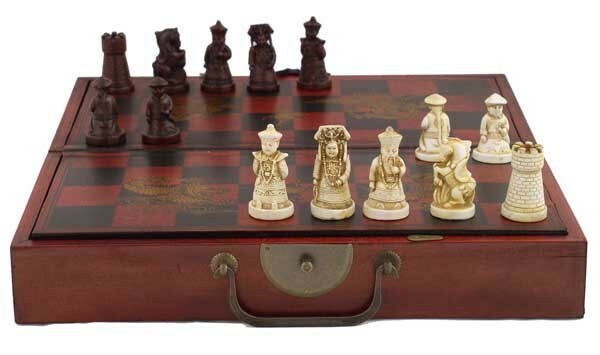 It is a very beautiful antique reproduction Chess game set. 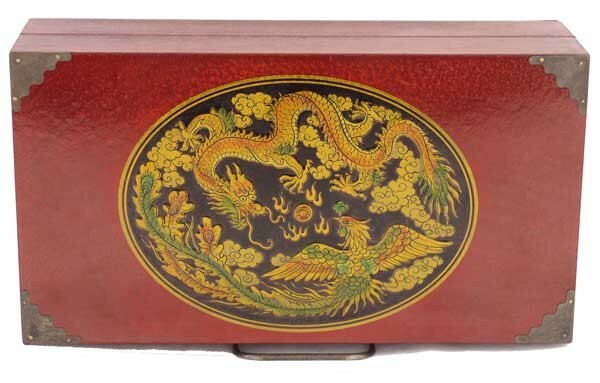 Very detail Chinese Qing Dynasty theme design, elegant chess man figures and the high quality leather case, seems like it was a value collection from a ancient royal member. Game Board Size: L14" x W13" x H2" Case (closed) Size: L13" x W7" x H4"
Universal Mahjong / Paigow / Card / Game Table Cover - Blue Mat 31.5" x 31.5"